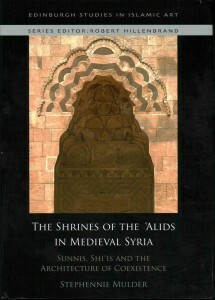 Stephennie Mulder, associate professor of Islamic art and architecture at The University of Texas at Austin, has been named the $10,000 grand prize winner of the 2015 University Co-op Robert W. Hamilton Book Awards for her work The Shrines of the ‘Alids in Medieval Syria: Sunnis, Shi’is, and the Architecture of Coexistence. The Hamilton Awards are among the highest honors of literary achievement given to UT Austin authors. 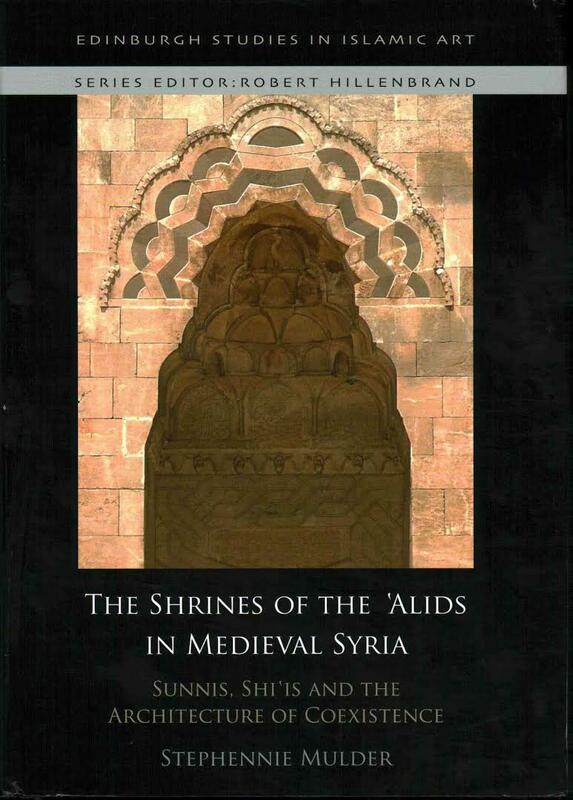 The Shrines of the ‘Alids in Medieval Syria: Sunnis, Shi’is, and the Architecture of Coexistence (published by Edinburgh University Press) is the first illustrated, architectural history of these shrines, increasingly endangered by the conflict in Syria. Mulder, a specialist in Islamic architectural history and archaeology, spent years in the field in Syria and throughout the Middle East. She works on the conservation of antiquities and cultural heritage sites endangered by war and illegal trafficking, and is a founder of UT Antiquities Action, a group dedicated to raising awareness of the loss of cultural heritage. The University Co-operative Society also announced winners for its research awards Monday. Go to this website for more information. 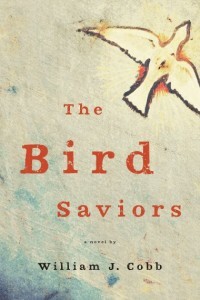 Denise Spellberg, grand prize winner of the Hamilton Book Awards. 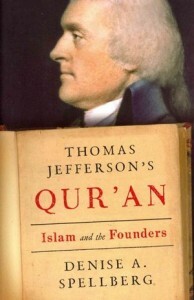 Denise Spellberg, professor in the Departments of History, Middle Eastern Studies and Religious Studies, won the $10,000 grand prize at the Hamilton Book Awards for her work “Thomas Jefferson’s Qur’an: Islam and the Founders.” (Knopf, 2013) on Wednesday, Oct. 15 at the Four Seasons Hotel in Austin. In “Thomas Jefferson’s Qur’an: Islam and the Founders,” Spellberg recounts how a handful of the country’s founders, Jefferson foremost among them, drew upon Enlightenment ideas about the tolerance of Muslims to fashion a practical foundation for governance in America. 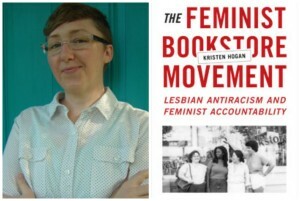 For more about the book listen to her podcast on the History Department’s Not Even Past website. The Hamilton Awards are named in honor of Professor Robert W. Hamilton, the Minerva House Drysdale Regent Chair-Emeritus in Law. Professor Hamilton was chair of the Co-op Board for 12 years, from 1989 to 2001, and was in large measure responsible for the Co-op’s uncommon growth and profitability during that period. Visit this website for more about the award winners. THE HAMILTON BOOK AWARDS PROGRAM, sponsored by the University Co-operative Society, is accepting all books, including scholarly monographs, creative works (e.g., novels and anthologies of poetry), exhibition catalogs, textbooks, and edited collections published in calendar year 2013 by university faculty and staff. 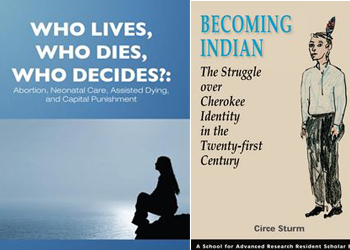 Deadline is Jan. 7, 2014.
http://www.utexas.edu/research/resources/awards-fellowships-grants. We are unable to accept late submissions due to tight review schedules. Please direct questions to liza@austin.utexas.edu or 471-2877. 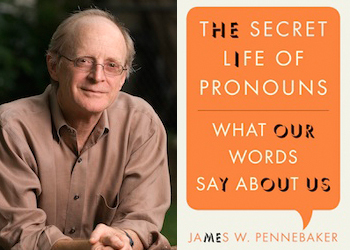 James Pennebaker, professor and chair of the Department of Psychology, won the $10,000 grand prize at the Hamilton Book Awards for his book, “The Secret Life of Pronouns: What Our Words Say About Us” (Bloomsbury Press , 2011) on Tuesday, Oct. 16 at the Four Seasons Hotel in Austin. In “The Secret Life of Pronouns,” Pennebaker uses his groundbreaking research in computational linguistics – in essence, counting the frequency of words we use – to show that our language carries secrets about our feelings, our self-concept, and our social intelligence. Our most forgettable words, such as pronouns and prepositions, can be the most revealing: their patterns are as distinctive as fingerprints. The Hamilton Awards are named in honor of Professor Robert W. Hamilton, the Minerva House Drysdale Regent Chair-Emeritus in Law. Professor Hamilton was chair of the Co-op Board for 12 years, from 1989 to 2001, and was in large measure responsible for the Co-op’s uncommon growth and profitability during that period. Visit this website for more about the 2012 award winners. 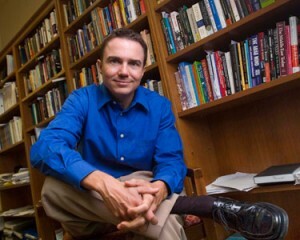 Jason Brownlee, associate professor in the Departments of Government and Middle Eastern Studies at The University of Texas at Austin, has received a $109,484 grant to examine peace-building efforts in Egypt. The funding, provided by the United States Institute of Peace (USIP), will enable Brownlee to determine whether the rise in Egypt’s anti-Coptic violence comes from underlying social tensions or from lack of government interventions. Nationally known for his expertise in authoritarian rule in the Middle East, Brownlee studies democratization and U.S. foreign policy. 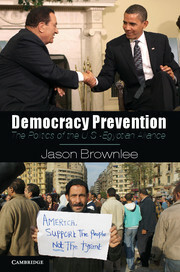 In his new book “Democracy Prevention: The Politics of the U.S.-Egyptian Alliance” (Cambridge University Press, September 2012), he explains how America’s alliance with Egypt has impeded democratic change and reinforced authoritarianism over time. As Egypt moves forward in its effort to consolidate a democratic transition, this initiative will provide timely and informed guidance for nongovernmental organization workers, policymakers and officials in Egypt who are working to reduce societal conflict in a country pivotal to U.S. policy in the region, said Steve Riskin, the special assistant to the president for grants at USIP. “The study, which accords with USIP’s mandate to resolve violent conflicts and promote postconflict peace-building, will yield important insights for other Middle Eastern countries with religious minorities, including Syria and Lebanon with Christian and other minority groups,” Riskin said. Created by Congress to be independent and nonpartisan, USIP works to prevent, mitigate and resolve international conflict through nonviolent means. During the past 20 years, the institute’s grant program has awarded more than 2,100 grants in 46 U.S. states, the District of Columbia and in 87 foreign countries. The grant program increases the breadth and depth of the institute’s work by supporting peace-building projects managed by nonprofit organizations including educational institutions, research institutions and civil society organizations. 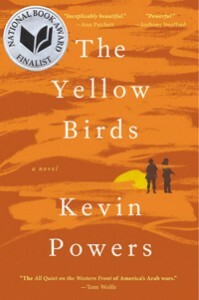 The Keene Prize is one of the world’s largest student literary prizes. An additional $50,000 will be divided among three finalists. 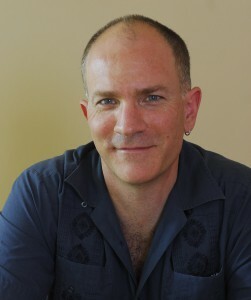 McFarlane was a finalist in 2010 and again in 2011. This year she has finally taken the big prize. Her short story “A Fortunate Man” was chosen from more than 60 submissions in drama, poetry and fiction. 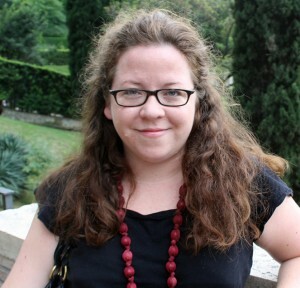 McFarlane, who is graduating from MCW this spring, received her bachelor’s degree from the University of Sydney, Australia, and her Ph.D. from the University of Cambridge, England. 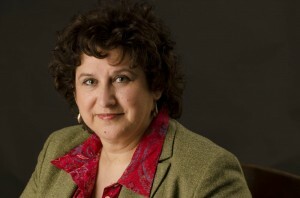 Her work has appeared in a number of literary journals, including Best Australian Stories, Missouri Review, Zoetrope, and Dossier. In 2010 she won The Missouri Review Jeffrey E. Smith Editors’ Prize, and last month she won the Roy Crane Award for the Literary Arts. She is currently working on a novel. Carolina Ebeid, MCW graduate, for her masterly collection of poems, “Small Beauty of the Forest.” Ebeid was also a finalist in 2011. Members of the 2008 selection committee were: Cullingford; Randy Diehl, dean of the College of Liberal Arts (ex officio); Brant Pope, chair of the Department of Theatre and Dance; Dave Hamrick, director of The University of Texas Press; and Tom Zigal, novelist and speechwriter for The University of Texas System. 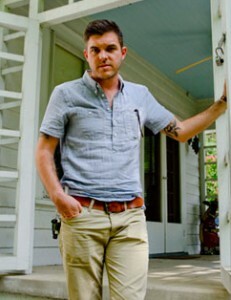 Established in 2006 in the College of Liberal Arts, the Keene Prize is named after E.L. Keene, a 1942 graduate of the university, who envisioned an award that would enhance and enrich the university’s prestige and support the work of young writers. Students submit poetry, plays and fiction or non-fiction prose.